- Heat chicken stock in the pot. Season with chili powder, sugar, salt, bouillon cubes, diced egg and lemon juice. 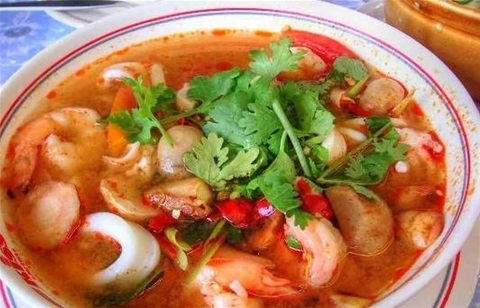 - When the soup is boiled again, add shrimps and pour the mixture of cornstarch and water to make the soup thick. - Reduce the heat Beat second egg in a bowl and pour it into the soup.